I will be at two Book Fairs with some amazing authors and great books from all genres. 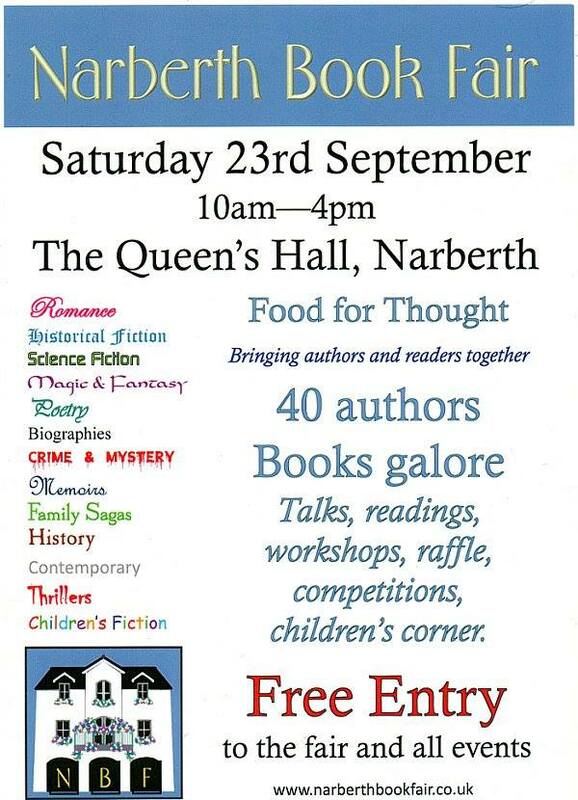 Saturday 22nd September sees me at Narberth Book Fair at Queen's Hall, Narberth, SA66 7AS. Narberth is rich in history and has a lovely array of shops to find those perfect gifts, so make a day of it. 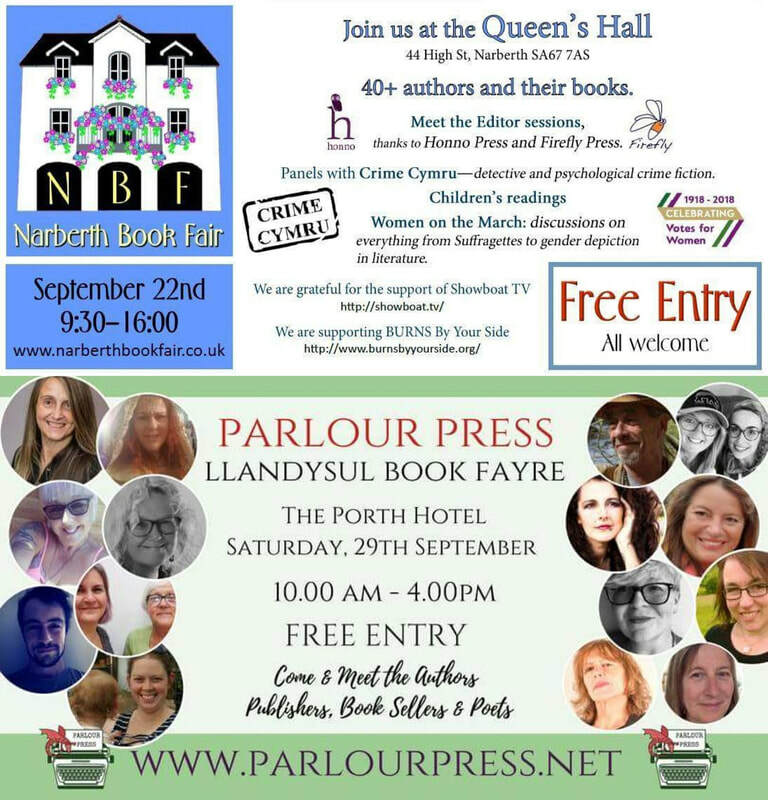 Saturday 29th September will be the Parlour Press Book Fayre at The Porth Hotel in Church Street, Llandysul, SA44 4QS. A new book fayre in a beautiful location overlooking the Teifi River. Both are FREE entry, open from 10am to 4pm, and you'll be able to meet the authors and find your new book! I will have an amazing Special Offer on my original paperback versions of The Surviving Hope series then called The Hope Within Novels. You will be able to buy all three novels for just £10 that’s a discount of £9.97 on the RRP. These original covers are no longer available since the books are being released with my new publisher, so it’s an ideal time to buy the whole set as originals, or simply buy the ones you’re missing to make a whole series. Amazon puts your book on sale and doesn't even tell you! 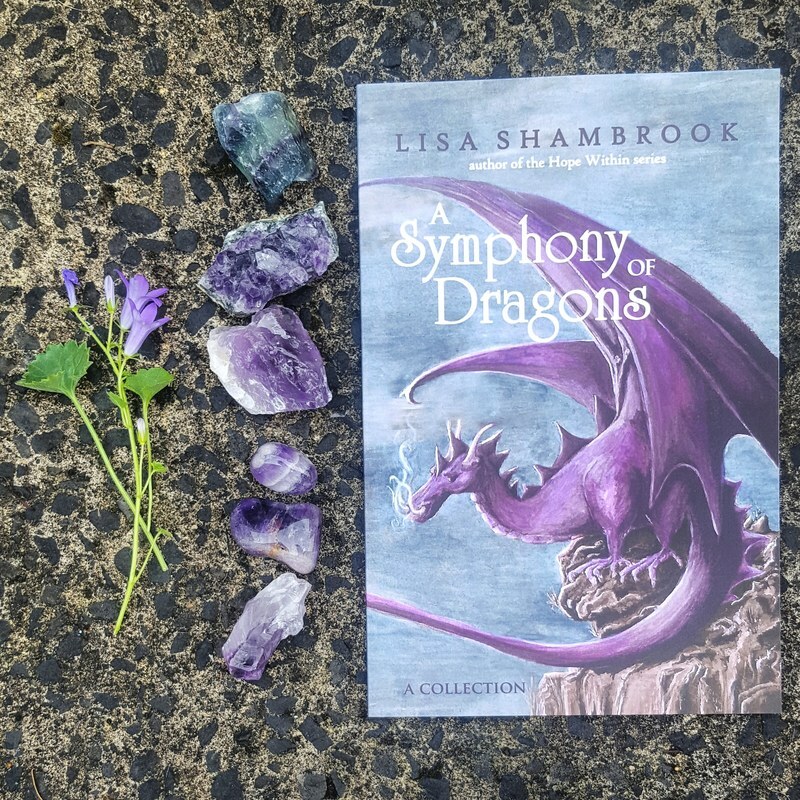 Currently the Paperback and eBook of A Symphony of Dragons is only £1.22 on the British site and $1.64 on US. * Update - paperback sold out, but grab the eBook before the price goes back up! 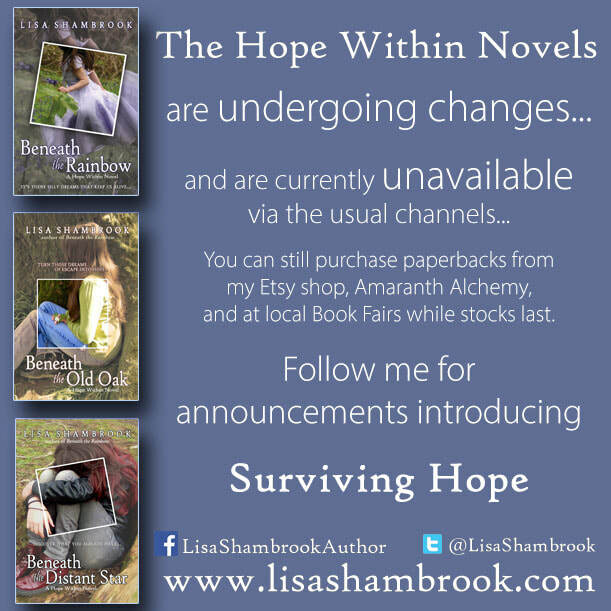 Surviving Hope is the new title for the Hope Within Novels and new release dates are here. Check out my blog post for details. 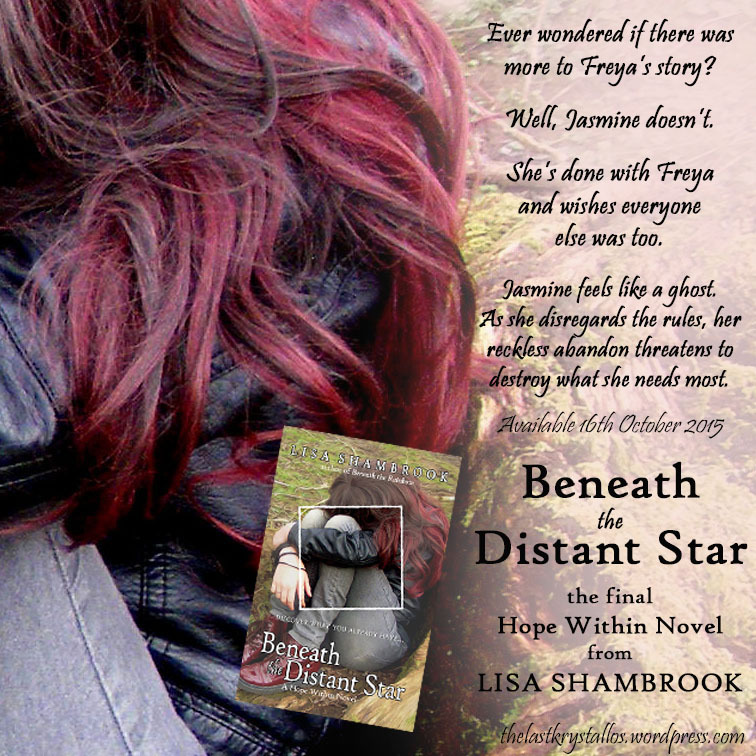 The Hope Within Novels: Beneath the Rainbow, Beneath the Old Oak, and Beneath the Distant Star, are currently unavailable via the usual book selling channels. The books are undergoing changes and an announcement will be made soon. The original copies in paperback are still available at local Book Fairs and from my Etsy shop, Amaranth Alchemy, but won't be on sale anywhere else until the end of summer. Follow me on Facebook, Twitter, or via my Blog, The Last Krystallos, to learn more. 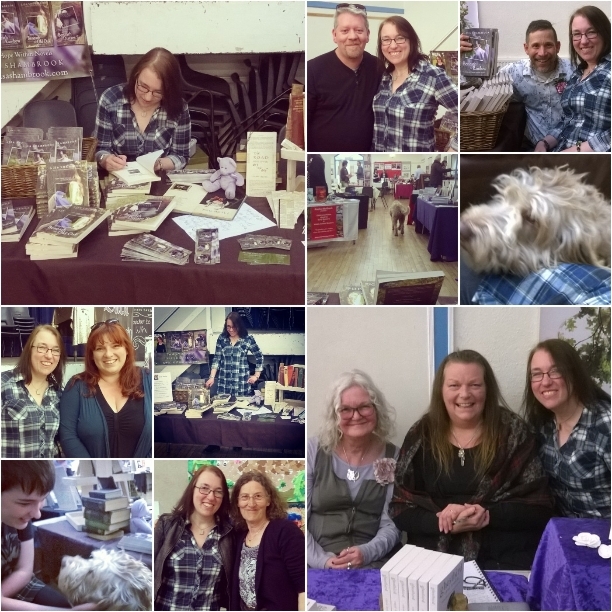 Another lovely day at Llandeilo Lit Fest, spending time with authors and readers, and sharing books and fun. My next Book Fair will be Narberth on Saturday 22nd September 2018. Come and find us and your new read at Queen's Hall, Narberth. It's a snowy St David's Day in Wales, no daffodils peeping through just yet, so embrace the snow and cuddle up with a book! 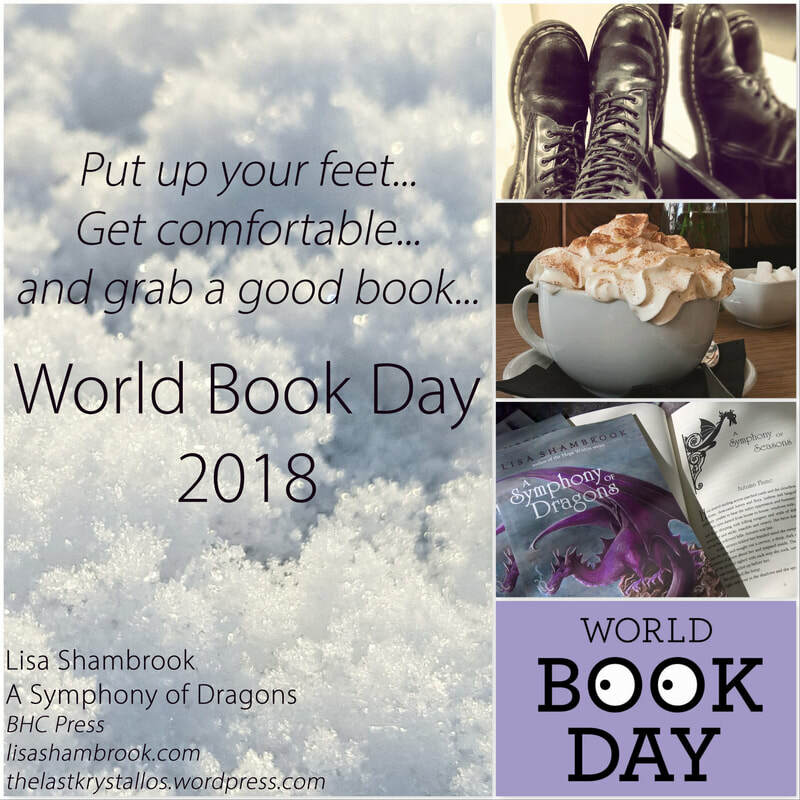 Check out A Symphony of Dragons on my World Book Day blog post - short stories to enthrall you! Lovely days, at the winter book fairs in Carmarthen and Llandeilo. Selling copies of The Hope Within novels, A Symphony of Dragons and Human 76, and also products from Amaranth Alchemy. You can find gorgeous Christmas Stocking Fillers for the bookworm in your life! 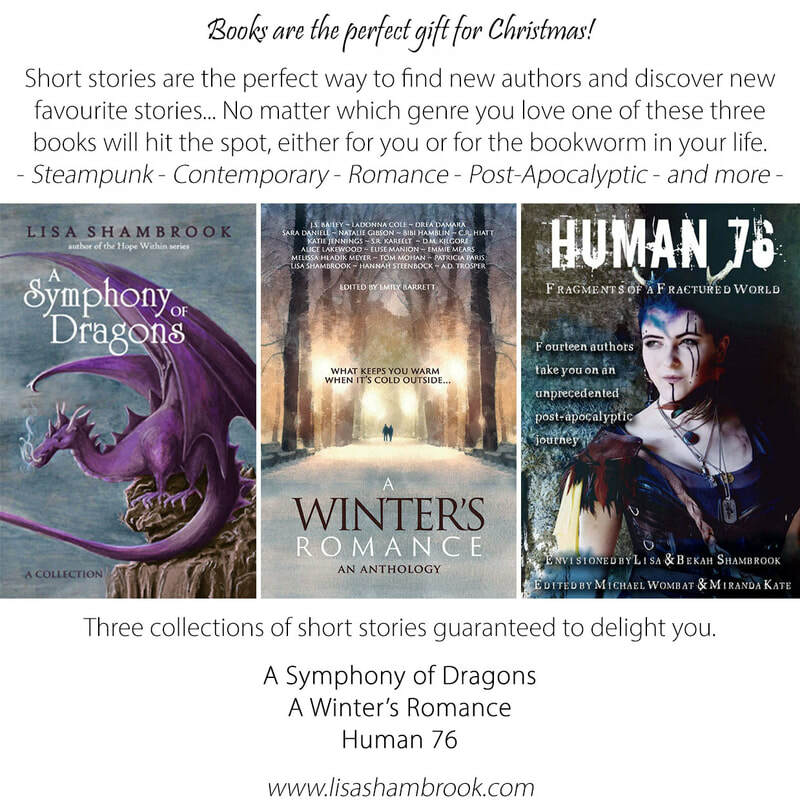 Books are the perfect gift for Christmas! 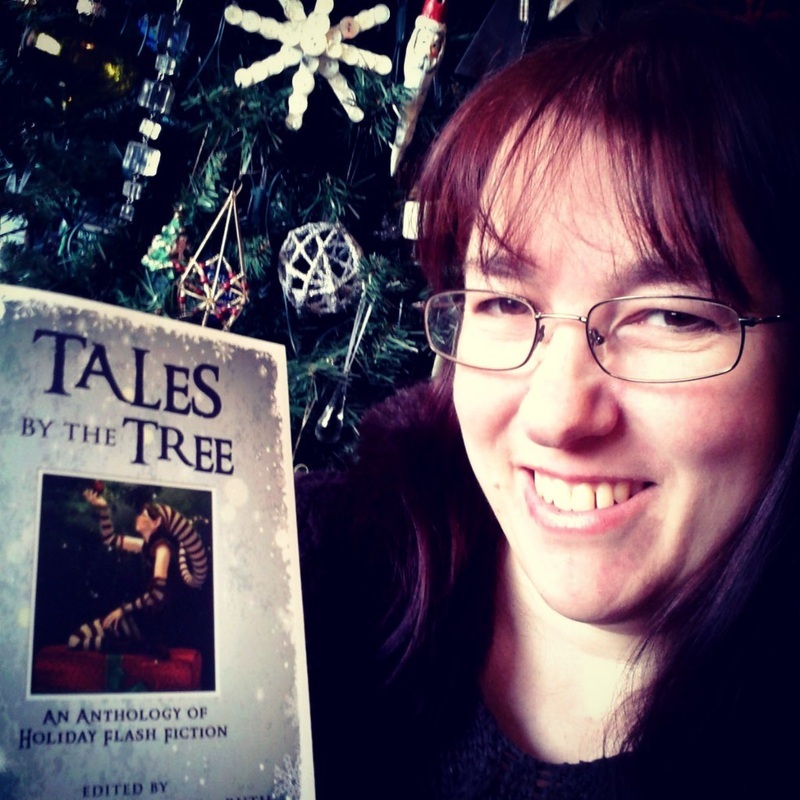 ​BHC Press has acquired the rights and re-released Tales By The Tree an anthology of Holiday Flash Fiction. Myself (Lisa Shambrook), D. M. Kilgore and the publisher compiled this anthology with a host of the original stories plus a variety of new pieces to enhance the collection. I am very pleased that several of my own stories made the cut (I stood away from that decision!) and it is a lovely collection of Christmas and Winter Holiday themed stories for the time of year when it's great to curl up with a good book in front of the fire! Two book events, different results, but always good to meet up with other authors and readers. Narberth - 23rd September - was well attended, the Narberth Food Festival was on at the same time, and it was good to sign and sell books and items from my Amaranth Alchemy business too. I bring book page and book spine bookmarks made from recycled damaged books that would have gone to landfill - always good to prolong the life of a book! 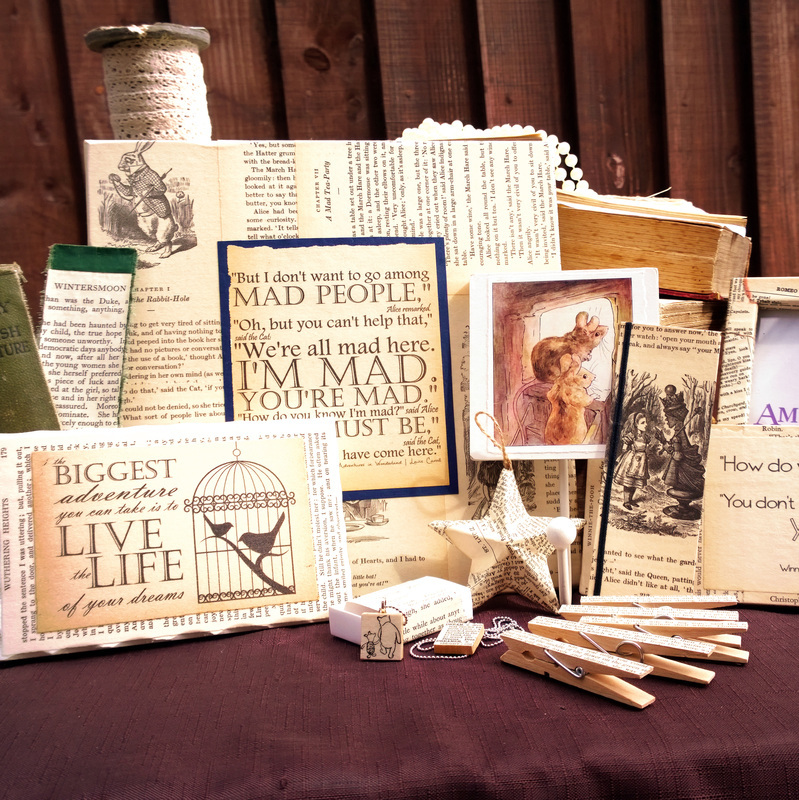 An assortment of other book page gifts accompany them. You can see more at Amaranth Alchemy, my Etsy shop. Both days were wet for the fairs, but Narberth had a constant flow of visitors who enjoyed the events and a plethora of books! 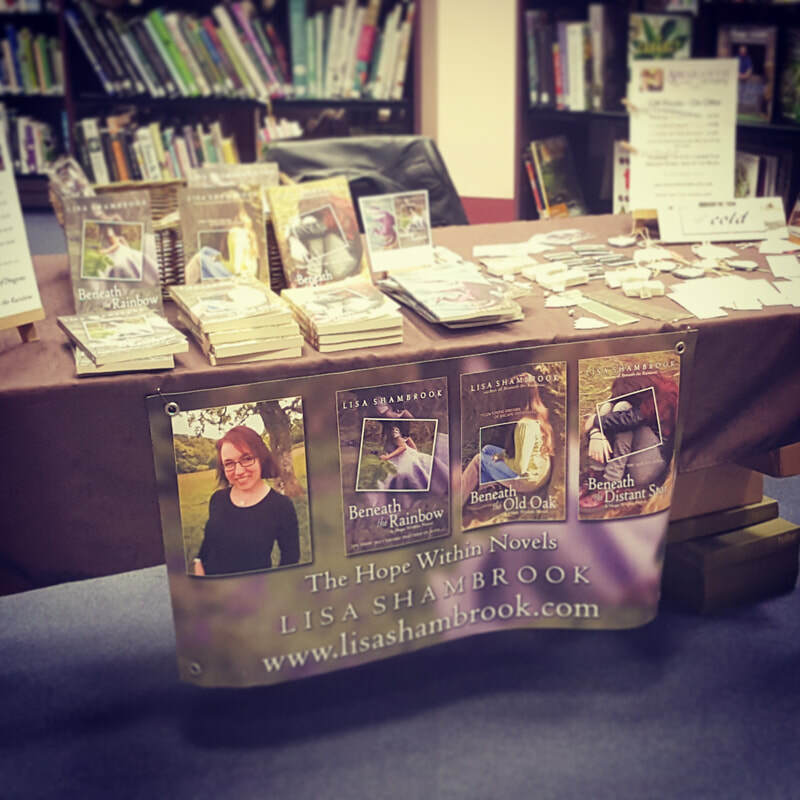 It was even wetter on 21st October, as we were hit by an autumn storm and gales, so footfall at Carmarthen Library Book Fair was much less, but I enjoyed chatting with some lovely visitors. There's something really magical about setting up your stall amid shelves of books, so a library is a lovely place to be. Much less sales, but Carmarthen library staff were helpful, friendly, and interesting. Looking forward to Carmarthen Book Fair on Saturday 11th November and Llandeilo Book Fair on Saturday 9th December. 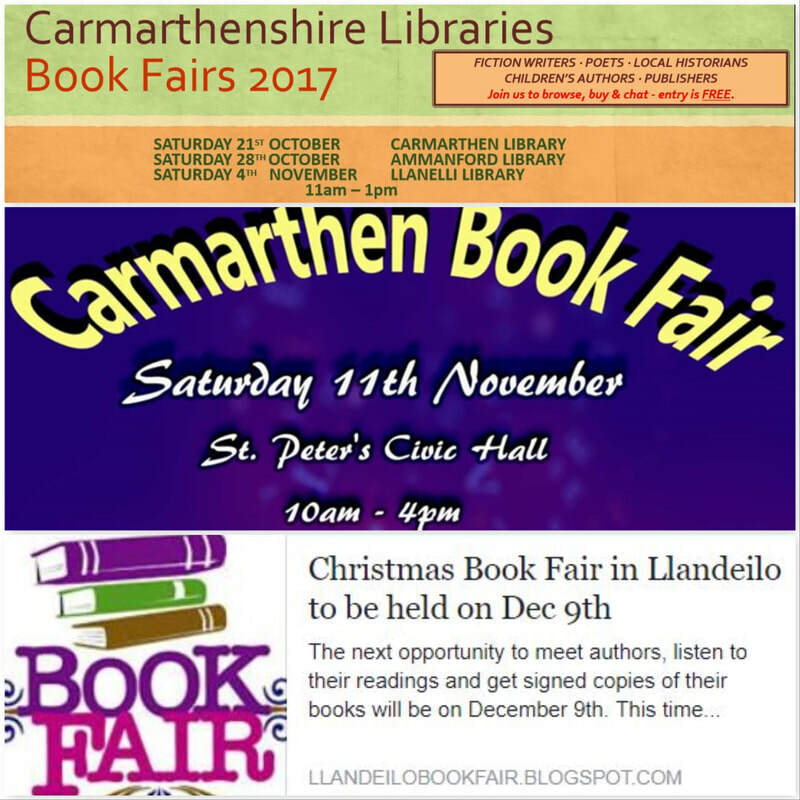 ​Lastly for the year will be Llandeilo Christmas Book Fair on Saturday 9th December -10am - 4pm. Tenby Book Fair has relocated to Narberth having outgrown its previous venue. I am very much looking forward to taking part and meeting readers and authors. Free Entry and over 40 Authors attending with events, talks and books! Check out the Narberth Book Fair website and appreciate the hard work put in by organisers Judith Barrow and Thorne Moore. 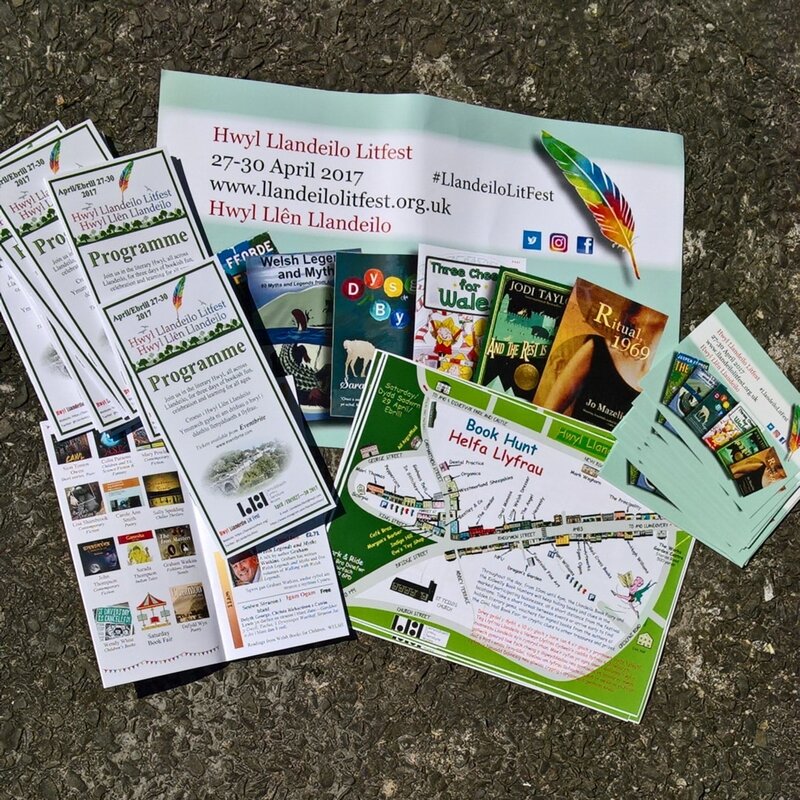 Llandeilo has a brand new Literary Festival which runs from Thursday 27th - Sunday 30th April. Many events are taking place across the beautiful market town over the four days - see what takes your fancy at the website. So many local authors and business are attending and you can go to workshops, book readings and talks and much, much more. I will be at the Book Fair on Saturday 29th from 11am - 4pm at the Civic Hall, Crescent Road (SA19 6HN if you need SatNav directions). I’ll be offering some great deals too. While stocks last, I will be giving everyone who buys ‘A Symphony of Dragons’ paperback a free copy of ‘Beneath the Rainbow’ too…and who doesn’t want a free paperback? Read my author interview to find out more about my books. Come and meet the authors and find your new read! 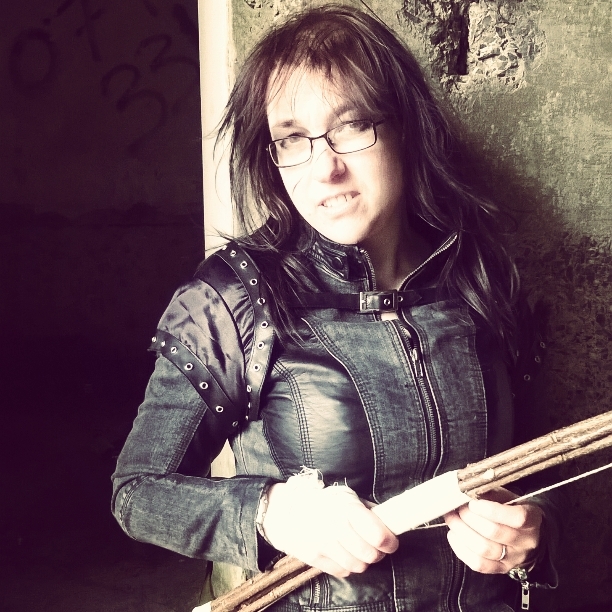 I am currently writing about dragons in post-apocalyptic Wales and this collection of short stories is the perfect preview while you wait for my trilogy to emerge! 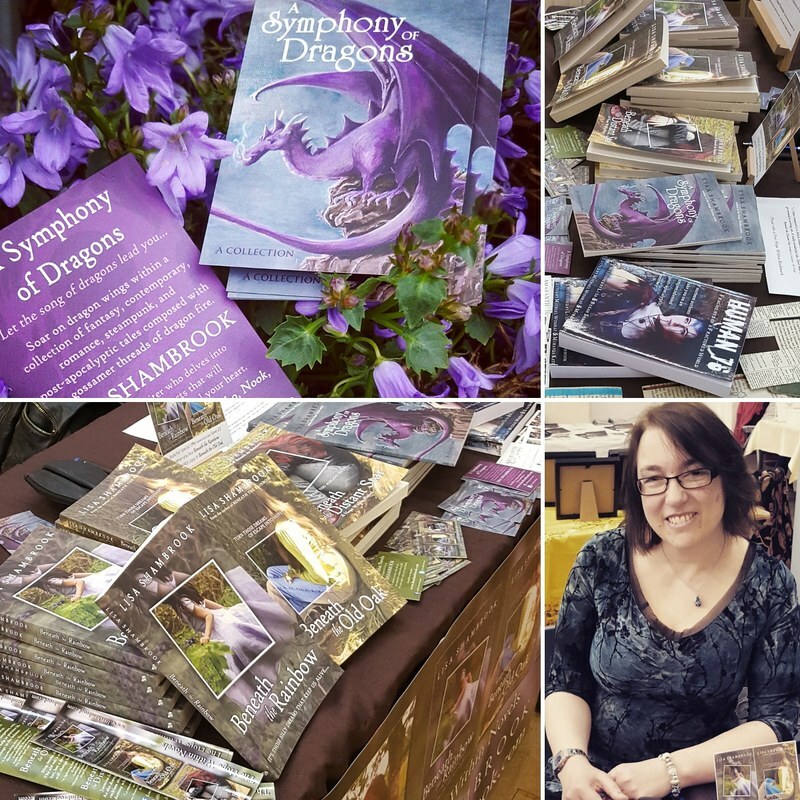 Please remember to Review and add A Symphony of Dragons to your Goodreads Want To Read list. 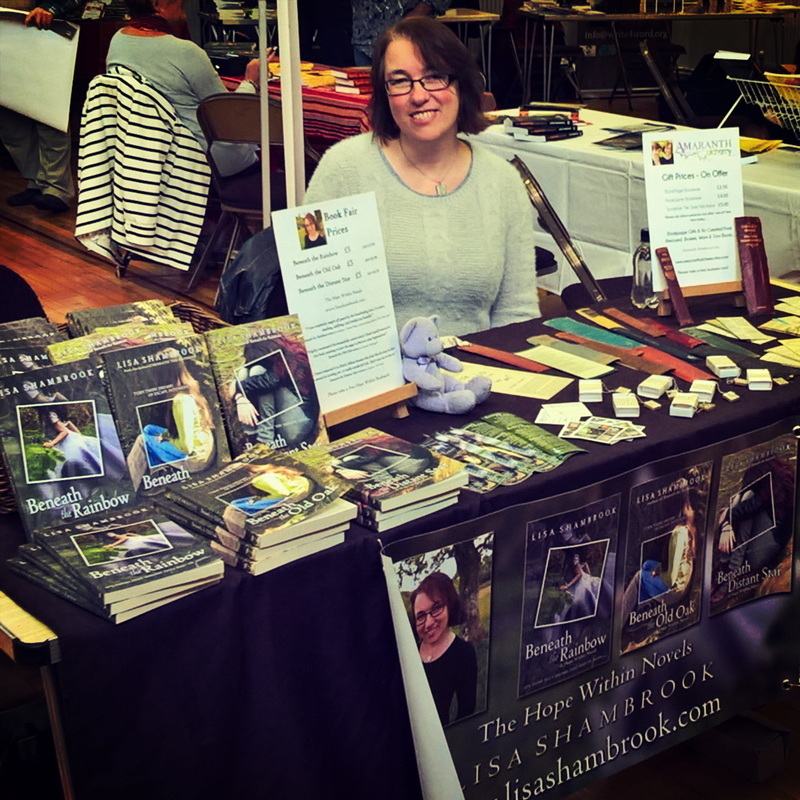 It was great fun to be back at Llandeilo for the Christmas Book fair on Saturday 10th December with many other local authors. There's a lovely sense of camaraderie and some amazing books to discover, and despite a very wet day we kept warm and had fun. I sold signed copies of The Hope Within Novels and items from my Etsy shop Amaranth Alchemy. Great stocking fillers! It was a privilege to be invited to the Tenby Book Fair on Saturday 24th September, a part of the week of Tenby Arts Festival. It was a very windy day, but we enjoyed setting up and sharing our books and stories with those visiting the beautiful town of Tenby. The book fair was successfully organised by Judith Barrow and Thorne Moore. The following week, on Saturday 1st October, Thompson Authors organised and sponsored Carmarthen's first ever Book Fair and this was a real delight as I live in the market town myself! It was opened by the Carmarthen Mayor Councillor Wynn Thomas and a welcoming address from reknowned Welsh poet Professor Menna Elfyn. 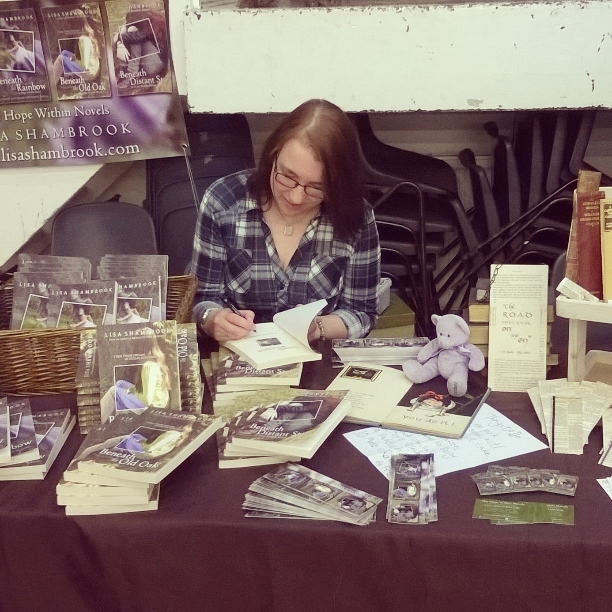 You can read more about the Carmarthen Book Fair on the Thompson Author's blog. 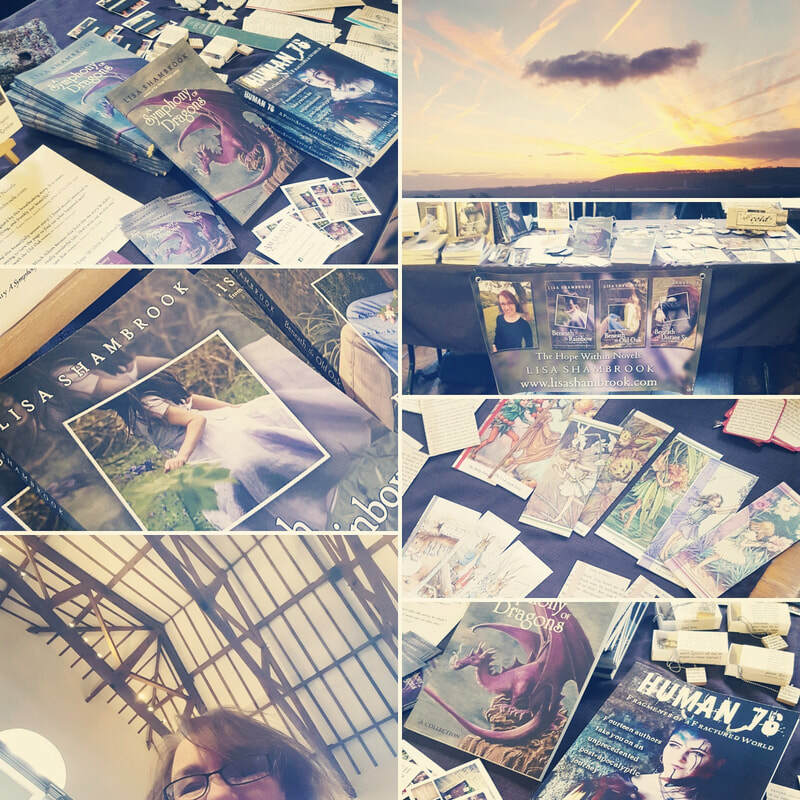 I enjoyed attending and promoting my Hope Within novels, and selling items from my Amaranth Alchemy Book Page gifts Etsy shop. It was fun to sign my books for customers! 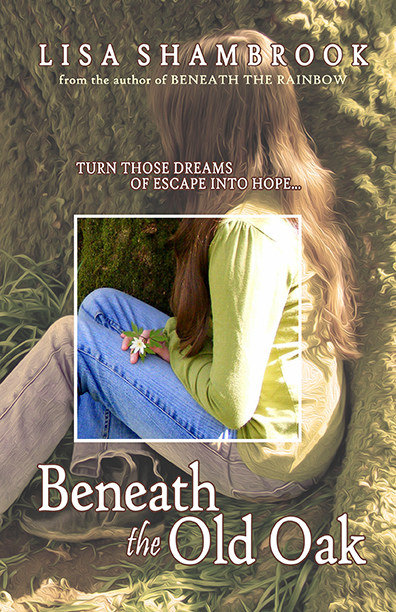 ​ I sold paperback copies of The Hope Within Novels 'Beneath the Rainbow', 'Beneath the Old Oak', and 'Beneath the Distant Star'. I am very much looking forward to being at the Llandeilo Christmas Book Fair on Saturday 10th December 2016. See you there! I will be attending two Book Fairs in the coming weeks. The first is Saturday 24th September in Tenby as part of the Tenby Arts Festival, held in St Mary's Church House from 11am - 3pm. The second will be the Carmarthen Book Fair, in St Peter's Civic Hall from 9.30am - 4.30pm. There are writing competitions and prize draws, and plenty of great books from local authors to buy! 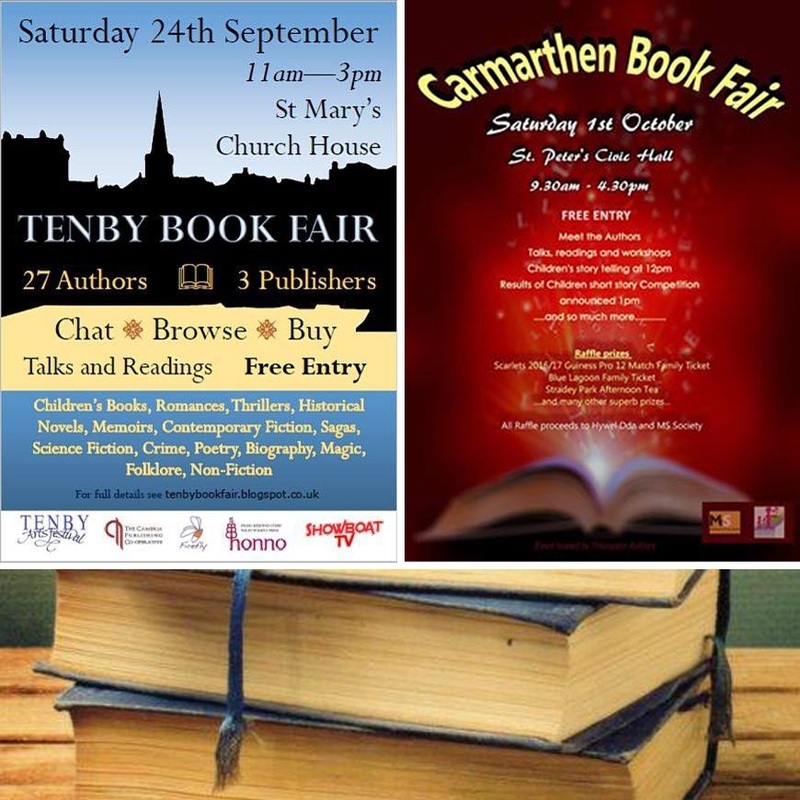 Find out more about Tenby Book Fair and Carmarthen Book Fair on Facebook. Human 76 is here and you can download the eBook for free for two weeks until 1st July at Lulu! A breakthrough collection envisioned by Lisa and Bekah Shambrook, and edited by Michael Wombat and Miranda Kate. 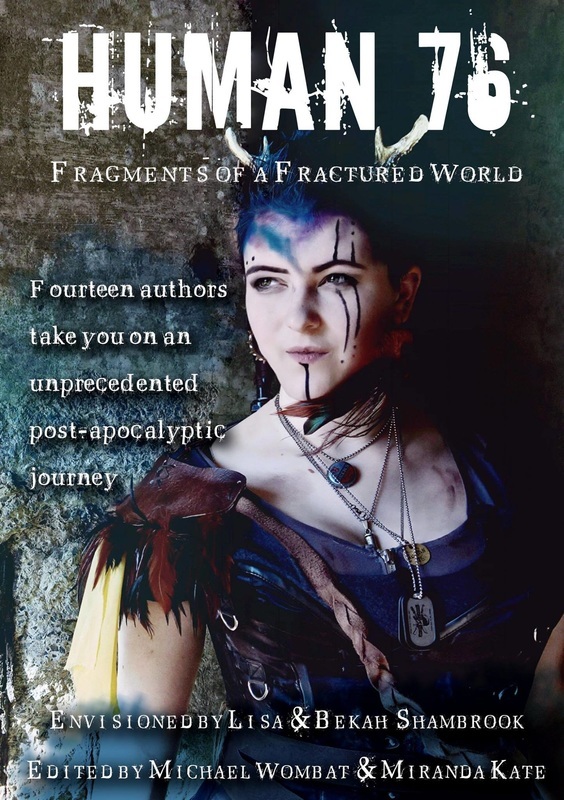 Fourteen authors take you on an unprecendented post-apocalyptic journey. An epic journey of short stories that interlink and cross paths and give you a novel length book. And please add us to your Goodreads Want to Read list! Read an interview by Amazing Books and Authors with Lisa Shambrook, Michael Wombat, K J Collard and Miranda Kate about how we put Human 76 together! Last year, after a family dystopian photoshoot my daughter's photo caused a stir when she put it up on Facebook. My writing community loved our pictures and wanted to use Bekah's character to write about. So Bekah and I set about creating a world within a post-apocalyptic landscape and challenged our authors to write! The only necessity was that their characters in this world had to cross paths with Ghabrie (Bekah's character) at some point within their stories. Now, fourteen talented writers (Michael Wombat, myself, Alex Brightsmith, Denise Callaway, KJ Collard, Alison DeLuca, Michelle Fox, Rebecca Fyfe, Jeff Hollar, Nick Johns, MS Manz, Julia Rios, KR Smith, Steven Paul Watson), have created a book chronicling Ghabrie’s search for her lost sister called Human 76. Today I took part in the Llandeilo Book Fair held in Llandeilo Civic Hall in West Wales. This was my first book fair and there was no need for my nerves! I met some amazing authors, some of whom I knew from social media, others I didn't yet know and I made lots of lovely friends. In the top photograph you can see me signing copies of my books for customers and then photographs of me with (clockwise from top middle) Shane K P O'Neill visiting from Norway and a fellow BHC author, with organiser Christoph Fischer, with Carol Lovekin and friend Jane, with Rebecca Bryn, and with a new friend and customer Lizzy. My daughter, Bekah, also accompanied me and we sold bookmarks from our craft business Amaranth Alchemy. 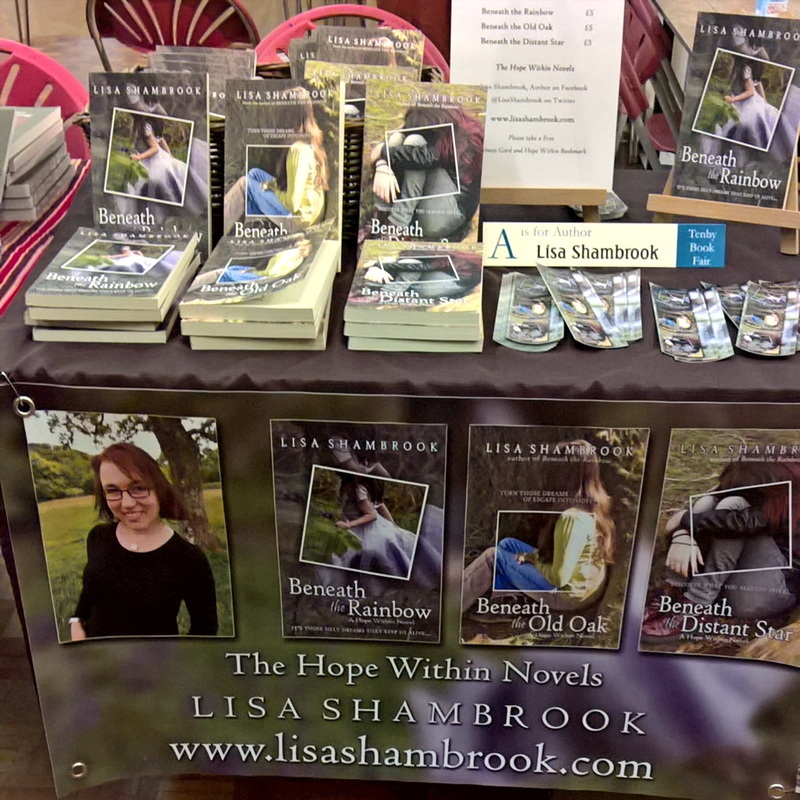 I sold paperback copies of The Hope Within Novels 'Beneath the Rainbow', 'Beneath the Old Oak', and 'Beneath the Distant Star'. A lovely and successful day, and I look forward to my next book fair! I am really looking forward to attending my first book fair as an author. 30th April 2016 at Llandeilo Civic Hall, Crescent Road. 10.30 - 4.30 and Free Entry. 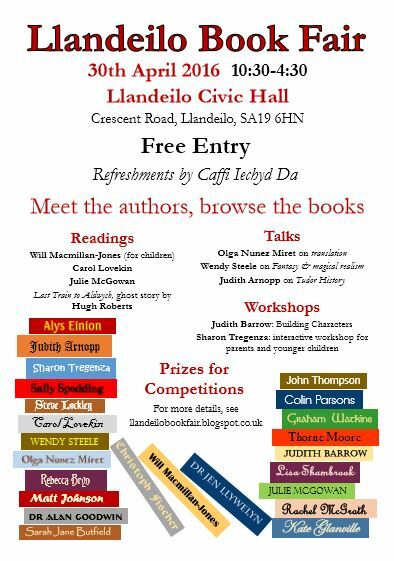 I have been invited to be one of the authors at the Llandeilo Book Fair organised by Christoph Fischer. A lovely mix of authors will include: Lisa Shambrook (myself), Judith Barrow, Dr Alan Goodwin, Christoph Fischer, Kate Glanville, Judith Arnopp, Graham Watkins, Carol Lovekin, John Thompson, Thorne Moore, Sally Spedding, Sarah Jane Butfield, Rebecca Bryn, Alys Einion, Wendy Steele, Colin R Parsons, Will Macmillan Jones, Julie McGowan, Matt Johnson, Sharon Tregenza, Rachel McGrath, Olga Nunez Miret, Steve Lockley, Dr Jen Llewelyn, Hugh Roberts. Refreshments by Caffi Iechyd Da from Carmarthen. 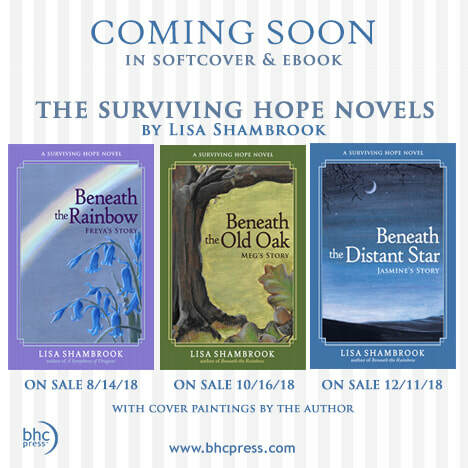 I will be selling and signing copies of 'Beneath the Rainbow', 'Beneath the Old Oak', and 'Beneath the Distant Star' and I look forward to seeing readers there to choose their new book! and: Come and Visit Llandeilo Book Fair. They emulate my business cards and will be available free at Book Readings, Book Talks, and Book Fairs. I was very happy to be invited to write for this anthology and have my submission accepted with a plethora of great authors. 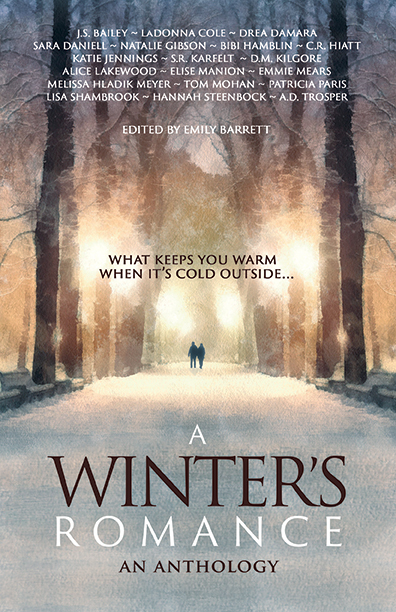 A Winter's Romance features 19 short stories that take place during the winter. Stories range from contemporary romance to deadly deceptions. A Winter's Romance was released December 4th in softcover and eBook, published by BHC Press a new publishing imprint from Blue Harvest Creative. ​A $1.00 donation from the sale of each book will be donated to Forgotten Harvest, a charity based in Michigan dedicated to relieving hunger in Metro Detroit and preventing nutritious food waste. ​You can buy from your local Amazon in eBook and Paperback. Beautiful business cards designed by Bekah Shambrook and myself, and made by MOO have arrived. Something to hand out and offer with sales at Amaranth Alchemy. My new tale entwining the desire for love and acceptance with despair is available now on Amazon UK | US and all Amazon sites in eBook for £2.50 and paperback for £6.99 . 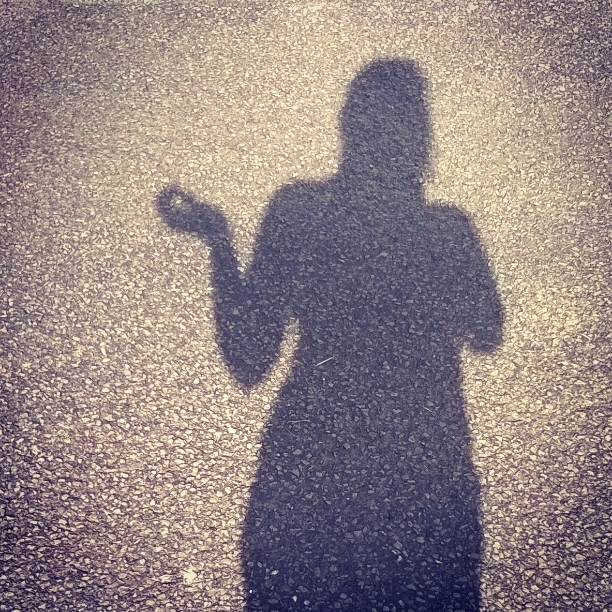 ​Read my article here and find Stigma Fighters on Facebook and Twitter. My third book and the final A Hope Within novel will be available in both paper back and eBook from Friday 16th October 2015. 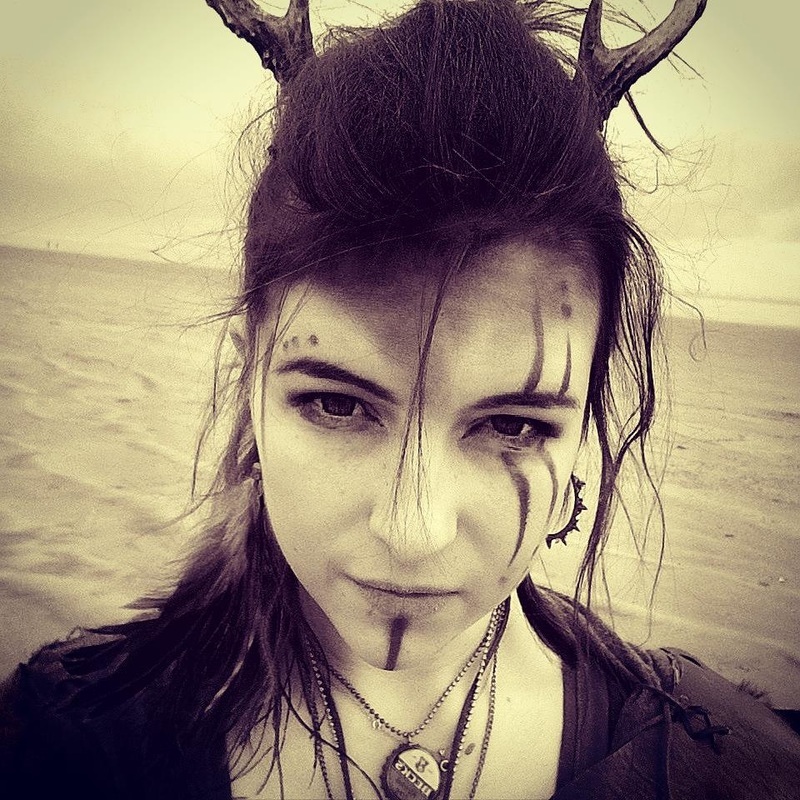 Have you ever wondered if there was more to Freya's story? She's done with Freya and wishes everyone else was too. Check out my cover reveal here. My story is just 1 of 27 from authors all around the world coming together to write short sories on the theme of relationships, to raise awareness and money for Macmillan Nurses. I was priviliged to take part and was interviewed by fellow author Christoph Fischer to help promote the book and its authors. He has interviewed many of the anthology writers and their stories are as interesting reading as the shorts inside the book. Take a look at my interview here. 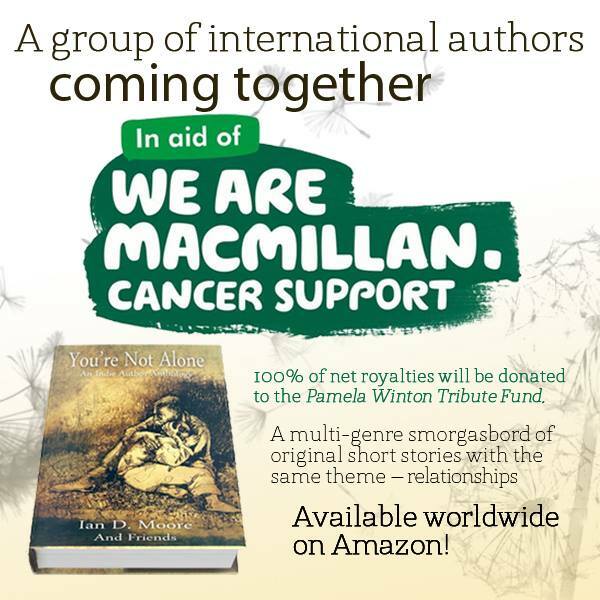 You're Not Alone is available at your local Amazon in both paperback and eBook and all net proceeds from this book will go to Macmillan Cancer Support via The Pamela Winton Tribute Fund. 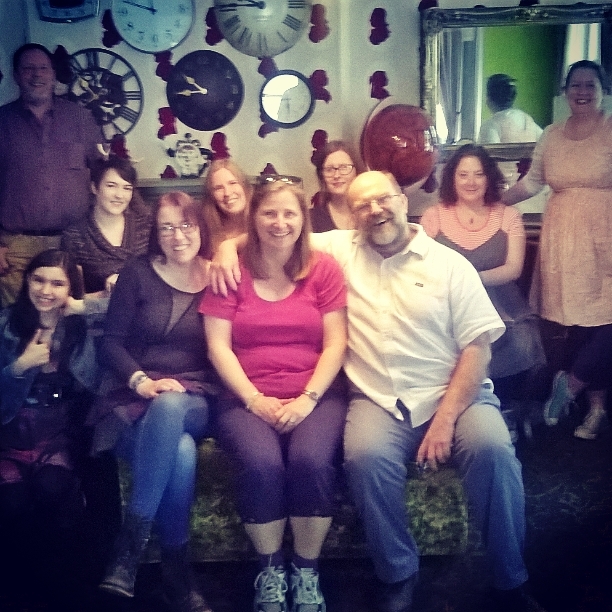 I met up with a group of authors and artists in Nottingham for a writerly get together. We met in The Cross Keys in an aptly decorated room for writers! I thoroughly enjoyed engaging with (left to right in picture): Nick Johns, Angelica Fyfe, Bekah Shambrook, herself, Becky Fyfe, Miranda Boers, Sorcha O'Dowd, Michael Wombat, Jessica Maybury and Alex Brightsmith. These writers and authors travelled from across the UK, Holland and Belgium. Read more, including a Flash Fiction piece 'Genesis', on my Blog here. I was afforded the opportunity to contribute a short story to an anthology in support of Macmillan Nurses, and am delighted to be involved. 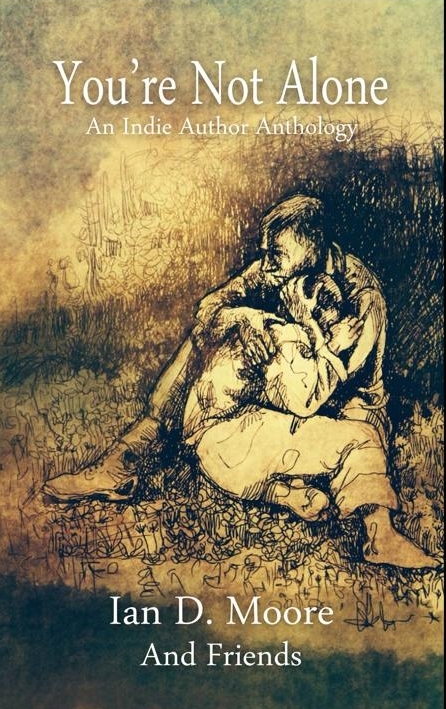 Please join their Facebook Page: You’re Not Alone: An Indie Anthology and help to spread the news! 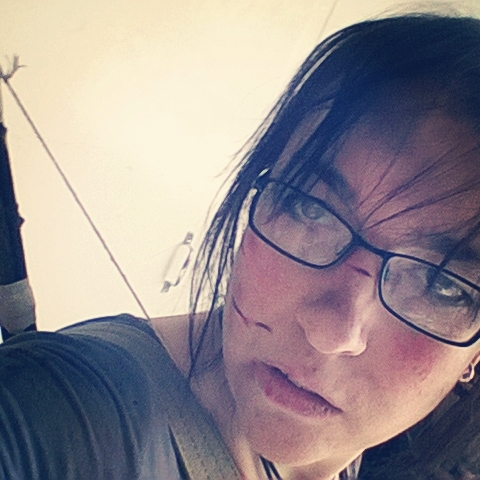 I attended the Film and Comic Con Cardiff with my family and after much deliberation cosplayed as Lara Croft. My daughter Bekah Shambrook won the Saturday Open Masquerade in a Maleficent cosplay. The rest of the family cosplayed as Indiana Jones, Ghost and Daenerys. It was huge fun and something we will definitely do again! Check out my photo taken by Antti Karpinnen in the Gallery, and on my cosplay blog post. I was really happy to be featured on Chris The Story Reading Ape's Blog. Chris is an amazing advocate for authors and works hard to help promote the best work he can. Take a look at his feature here. Mother’s Day is a time to think of families and flowers…so give the gift of an enchanting book this Mother’s Day. 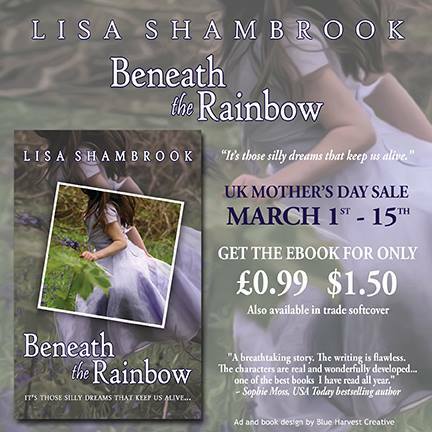 ‘Beneath the Rainbow’ is on sale from 1st to 15th March on Amazon, to celebrate UK Mothering Sunday on 15th March. This sale will be repeated 26th April to 10th May to incorporate Mother's Day across the world. Kindle UK £0.99 and US $1.50. 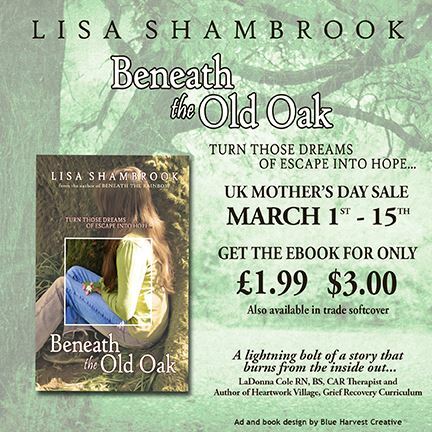 'Beneath the Old Oak' will also be on sale for the same period Kindle UK £1.99 and US $3.00. Both books are available in paperback and are on sale at 20% off at Lisa's Etsy shop Amaranth Alchemy. Use code MOTHERSDAYUK15 for the discount. Your mother’s heart will be captured as these uplifting tales charm her. If you adore the epic in life and the magic of mist and mystic…then this book of reimagined fairy tales is for you. 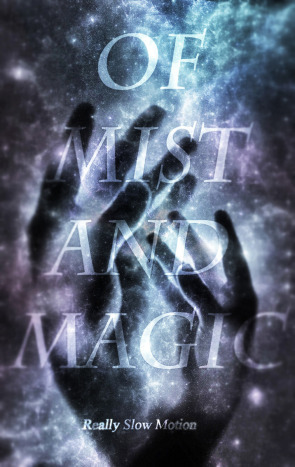 Under the influence of Really Slow Motion‘s beautiful music, ‘Of Mist and Magic‘, fairy tales are reinvented and brought to you inside an enchanting anthology of short stories, in an exclusive Amazon companion book ‘Of Mist and Magic‘. My heartfelt tale of courage and growth is now available on Amazon UK | US and all Amazon sites at £2.50 on Kindle and £6.99 in paperback. 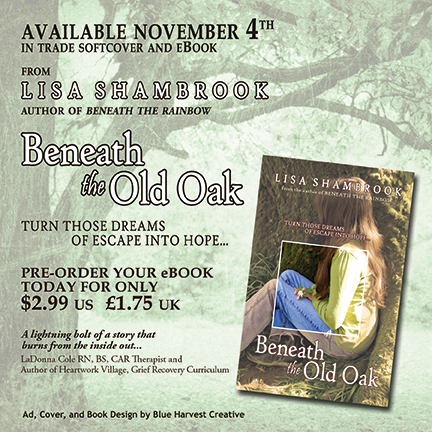 Announcing the release date of 4th November 2014 for 'Beneath the Old Oak', but you can pre-order your eBook copy for a reduced price today through to the release date... £1.75 at Amazon UK and $2.99 at Amazon US. EBook on pre-order from 20th October - 4th November 2014. I was invited to Merthyr Tydfil to speak to the lovely ladies of The Church of Jesus Christ of Latter-day Saints about my book 'Beneath the Rainbow'. I gave a confident talk encompassing the themes of grief, dreams and hope to a delightful group who joined in and shared many of their own experiences. I really enjoyed giving my presentation using pictures, questions and a well received excerpt from the book. I also introduced my new book 'Beneath the Old Oak' due for release 4th Nov 2014, and spoke about its theme of hope and overcoming depression. A lovely evening was made even better by the Relief Society coming together to create rainbow themed refreshments, including a beautiful rainbow cake by Ellice Miles! 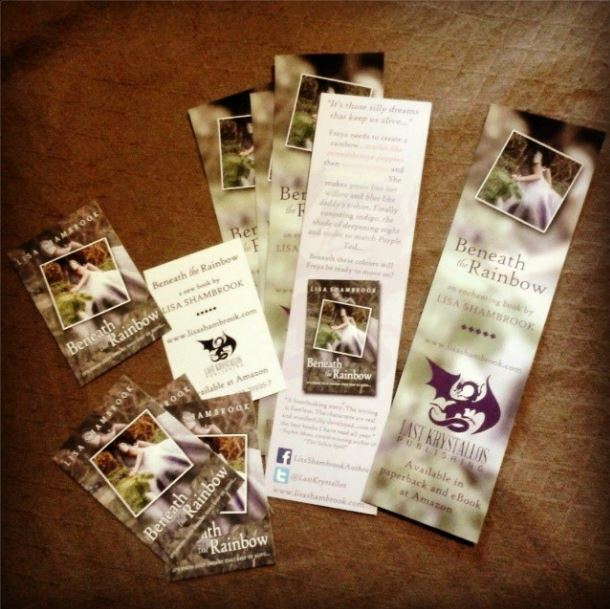 I offered free bookmarks, and I signed paperback copies of 'Beneath the Rainbow'. 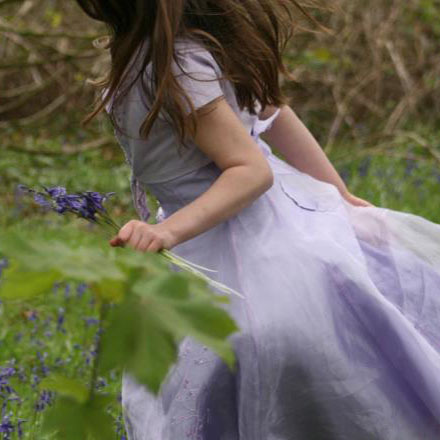 A chance to read Freya's enchanting story before the release of 'Beneath the Old Oak'. 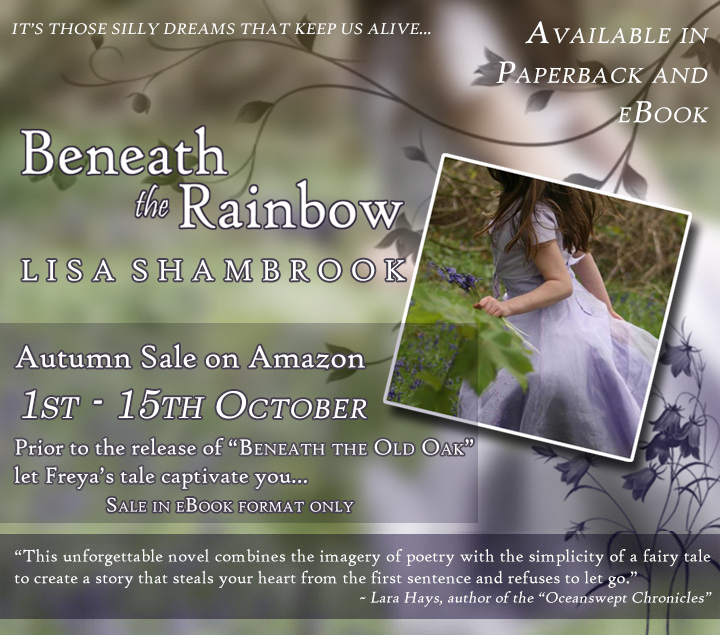 'Beneath the Rainbow' eBook is on sale at £1.35 and $2.25 between 1st and 15th October 2014. The nights are truly creeping in...so it's time to go dark! 50 reasons to leave the lights on tonight. 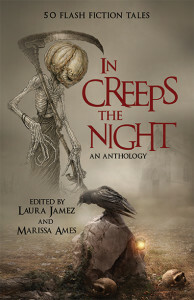 A new horror anthology with all proceeds going to 'Mothers Without Borders'. 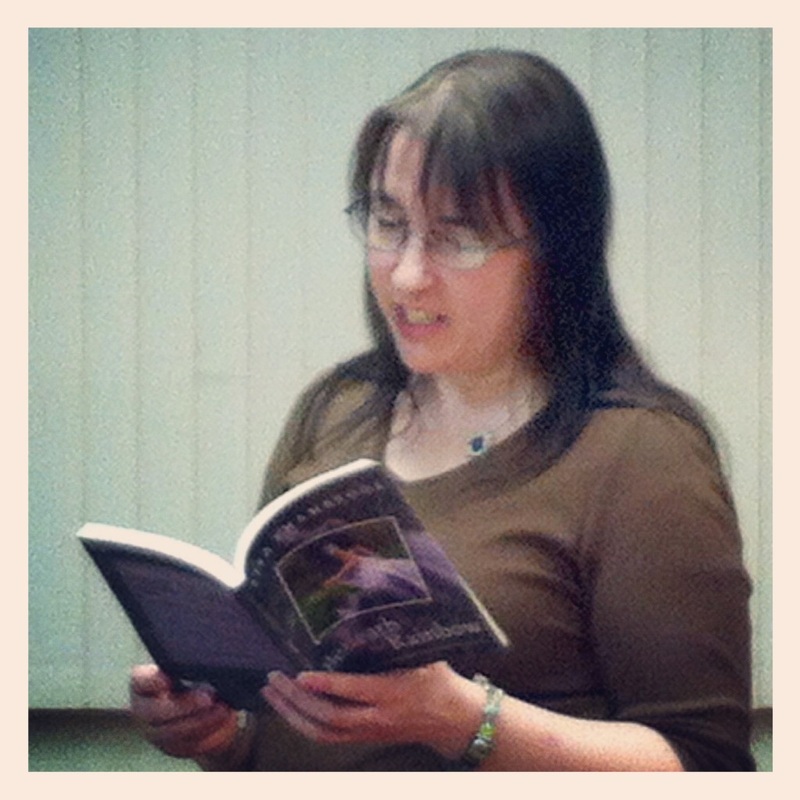 This anthology is dedicated in memory of Tina Downey, storyteller and firm believer that life is good. 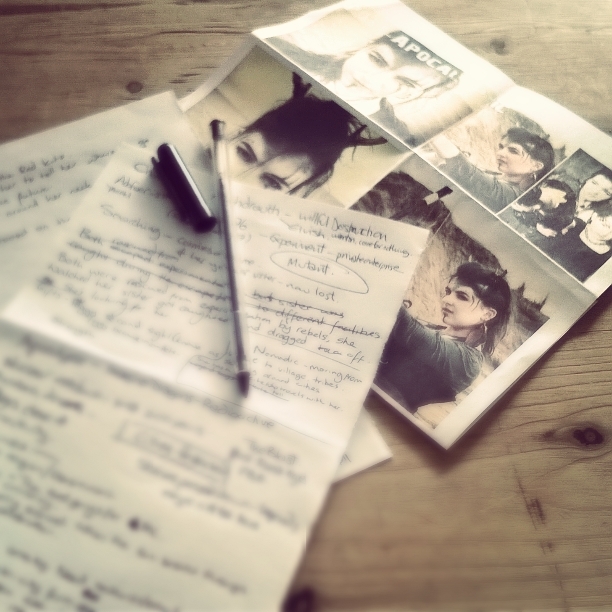 A cross industry collaborative writing project. 26 authors contributed a chapter each inspired by the music of Audiomachine resulting in the ultimate collaborative journey of words and music. Find out more about this book and the reasons for its release here. When you grow up losing yourself in books you can't help but have an affinity to the written word that will last a lifetime. 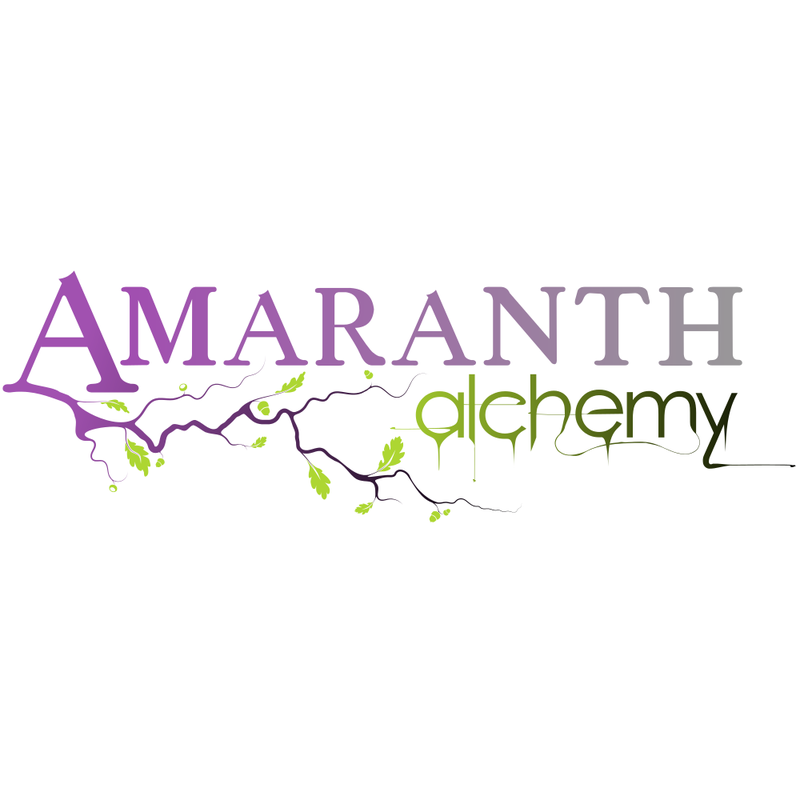 I recently embarked on a new adventure with my daughter, Bekah Shambrook, and created Amaranth Alchemy. We decided to rescue lost, damaged, and abandoned books and create works of art. Bekah and I have an eye for all things of natural beauty and a talent for putting creative arts together. 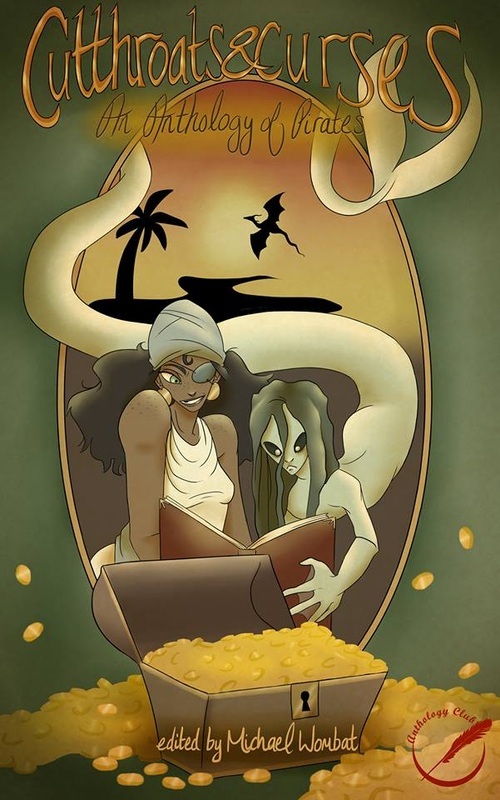 Eleven swashbuckling and adventurous pirate tales from eleven amazing authors make up this exciting anthology from The Anthology Club. See my blog post for full details and available now as an eBook on Amazon UK and Amazon US and any other Amazon near you! 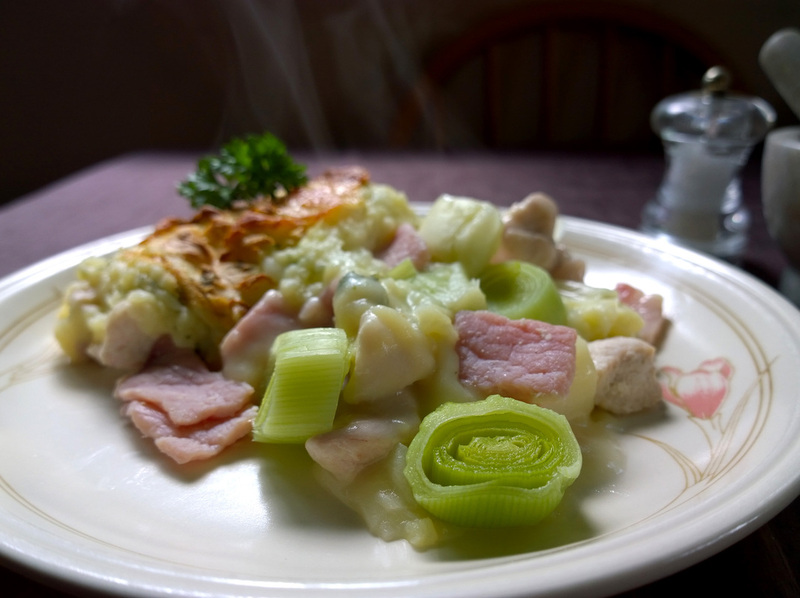 I was pleased to be invited to contribute a chicken recipe to 'Backyard Poultry Magazine' and decided to share my rustic Chicken, Bacon, Leek and Potato Pie, a real family favourite! 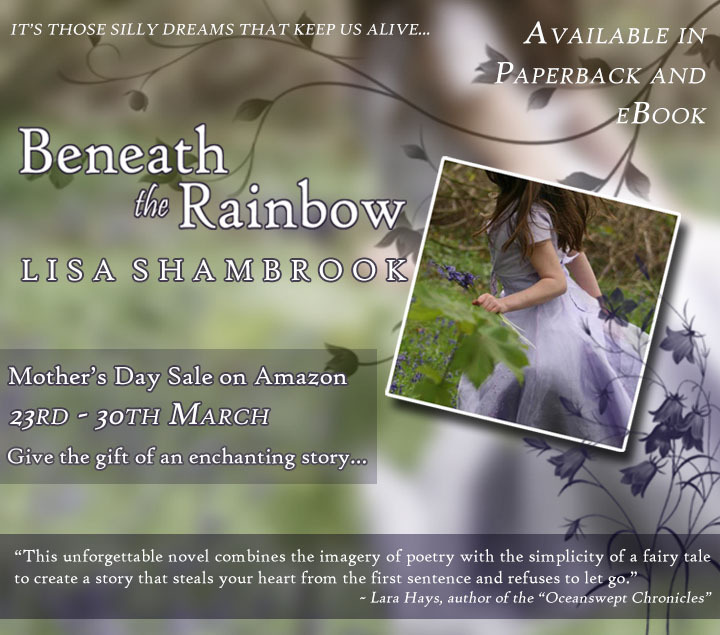 ‘Beneath the Rainbow’ is on sale from 23rd to 30th March on Amazon, to celebrate UK Mothering Sunday on 30th March. This sale will be repeated 4th to 11th May to incorporate Mother's Day across the world. Kindle UK £1.35 and US $2.25. Also available in paperback. Your mother’s heart will be captured as this uplifting tale charms her. My very first book talk was with the lovely women of the St Cynnwr, Carmarthen WI. I bit back my nerves and delivered a confident talk to a positive and supportive group of ladies. 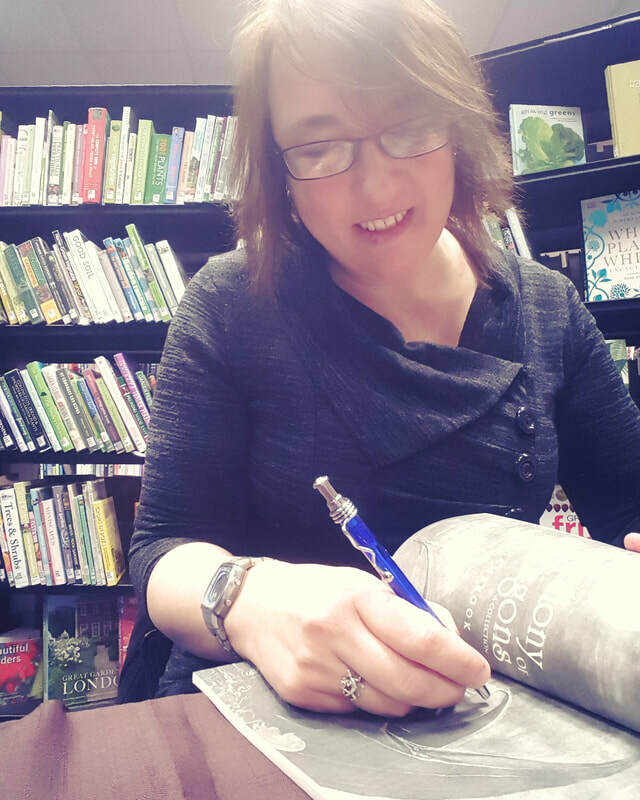 I introduced myself and talked of my love of reading, writing and all things creative. 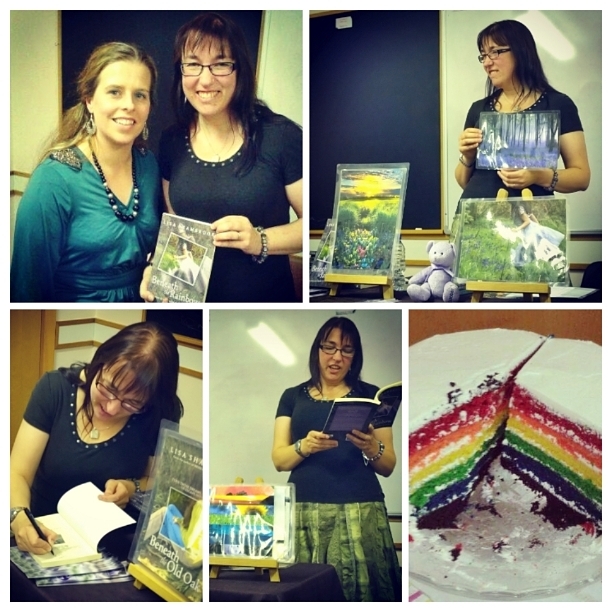 I then talked about the central themes of 'Beneath the Rainbow'. I mingled questions to the audience and used photographs and pictures to illustrate her words. I finished by reading a well-received excerpt from her book. I then opened the floor to questions from the audience which I really enjoyed answering. Read more of my visit on my blog. 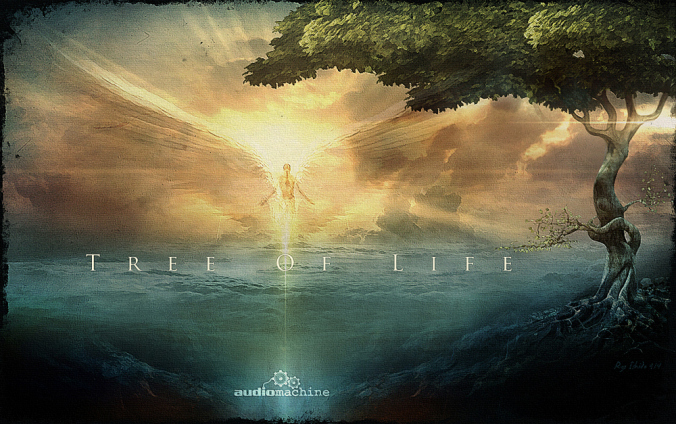 The eBook to accompany the Composers for Relief album is finally here. My story 'Fighting Back' is just one of 30 tales by talented authors inside this beautiful book, all written to gorgeous pieces of music specially composed for this album. All proceeds go to charity to help victims of last year's Philippines tornado. The stunning cover was designed by Jennifer Redstreake Geary and the eBook put together by Samantha Redstreake Geary. Find it for sale: AmazonUK, Amazon and Smashwords. 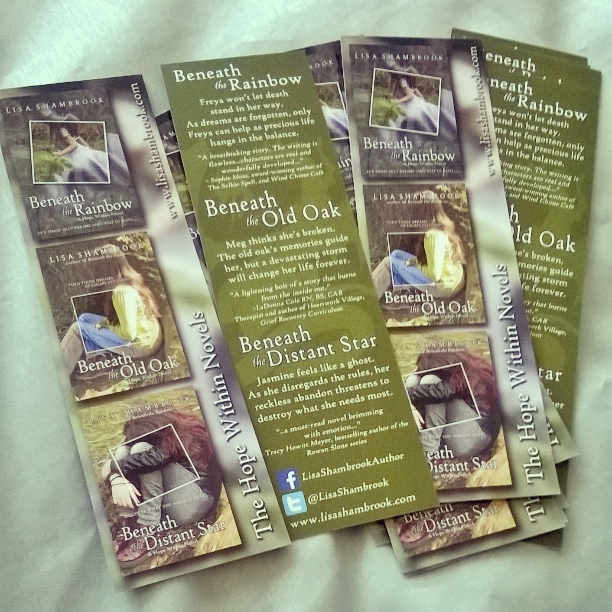 Bookmarks and promo cards arrived today, both designed by myself and Bekah Shambrook, to complement 'Beneath the Rainbow'. Bookmarks will be available at appearances, talks and can be won in events and giveaways. 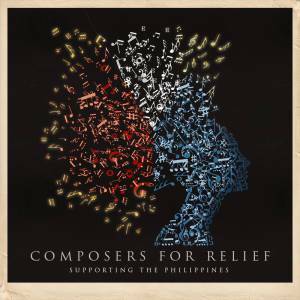 I am privileged to participate in writing a short story for an eBook accompanying the Composers for Relief: Supporting the Philippines CD, put together to raise funds for the victims of the recent Philippines tornado. All proceeds for both the CD and the book go to Gawad Kalinga. You can find the CD on iTunes and Amazon. The eBook will follow: release date to be announced. Fighting Back by Dreammaker and you can read it here. Christmas Holiday Tales, from over 40 authors, to suit everyone from child to adult! Tales by the Tree is available now from Amazon UK, Amazon US ...perfect for Christmas, and all proceeds go to a school library. 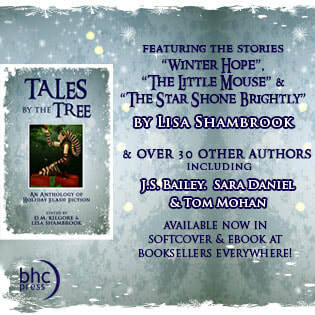 My tales are: 'Winter Hope', 'The Little Mouse' and 'The Star Shone Brightly'. 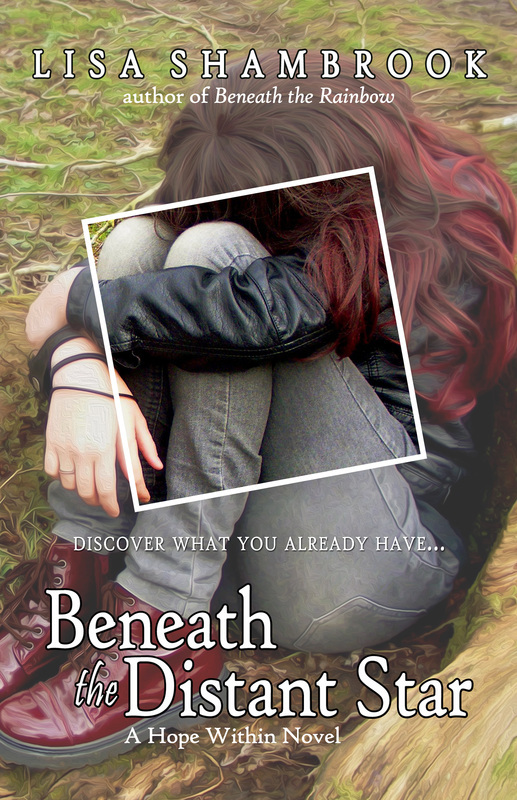 Today sees the launch of the trailer for 'Beneath the Rainbow'. 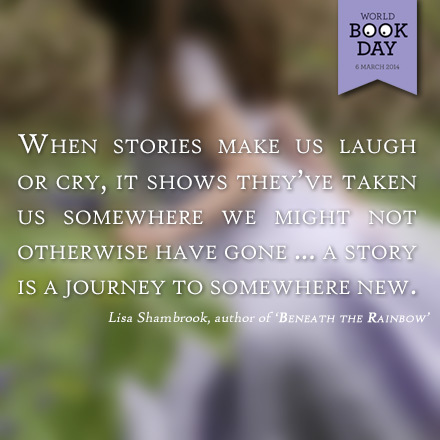 Sale on 'Beneath the Rainbow' at Amazon. Paperback and eBook's now reduced.